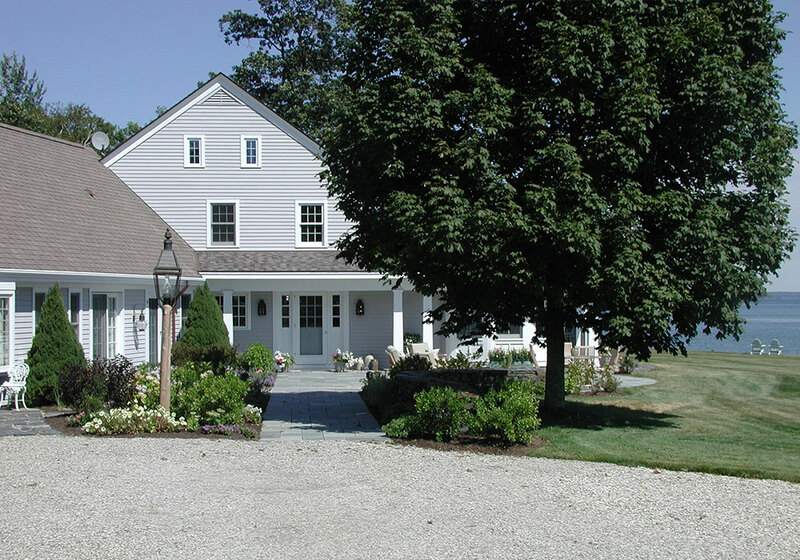 The existing property is located on a point offering a sweeping 180 degree view of Casco Bay. The addition and renovations respond to the owners’ desire for interior space that provide access to the view and relieve the compartmental nature of the their current plan. 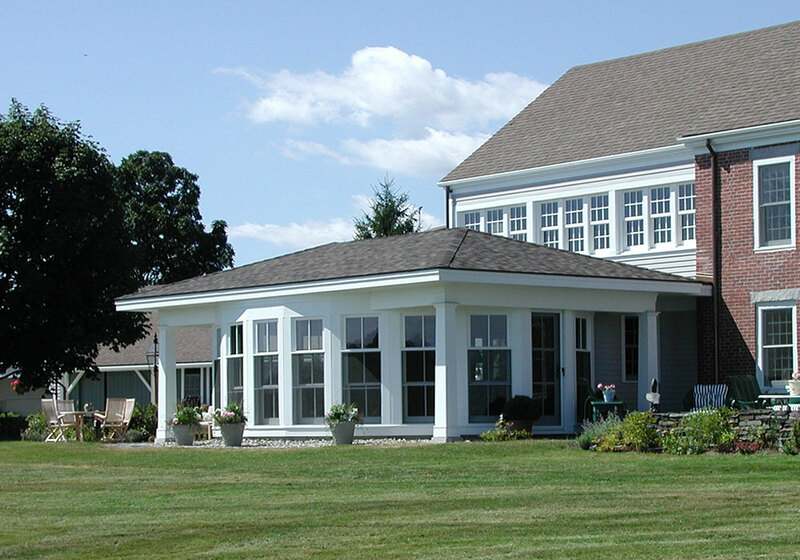 The centerpiece of the design is an oval shaped addition featuring large triple-hung windows beneath a hipped roof. The ceiling beneath the roof is finished in wood and shaped to resemble an inverted ships hull. 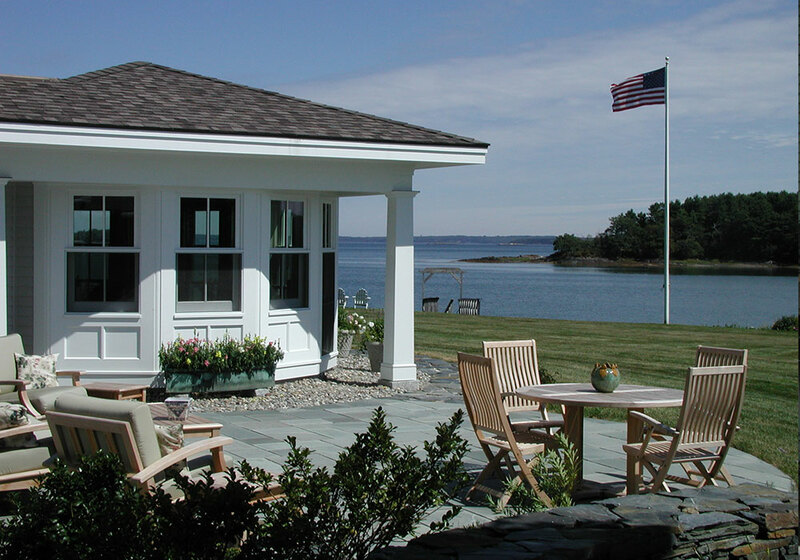 Projecting eaves at the corners extend to form a shallow entry porch and serve to unify the addition with the main house. 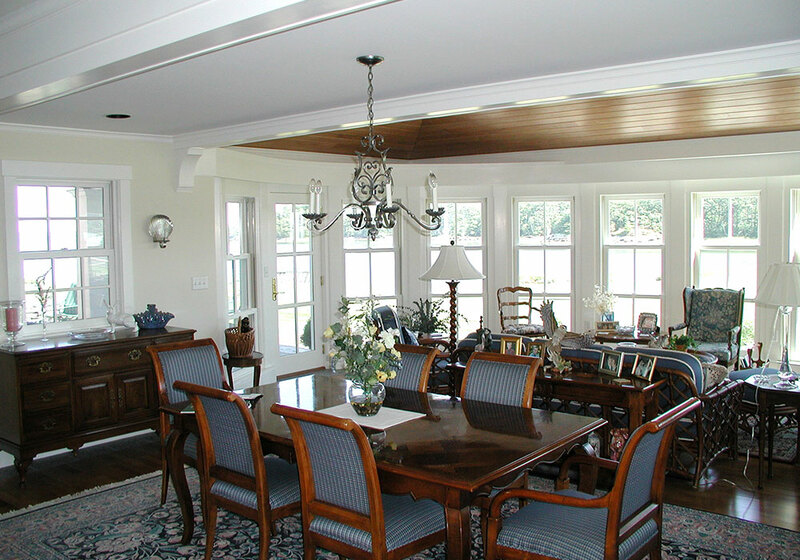 At the interior, renovations included a new dining room, entry, and extensive modifications to the kitchen.